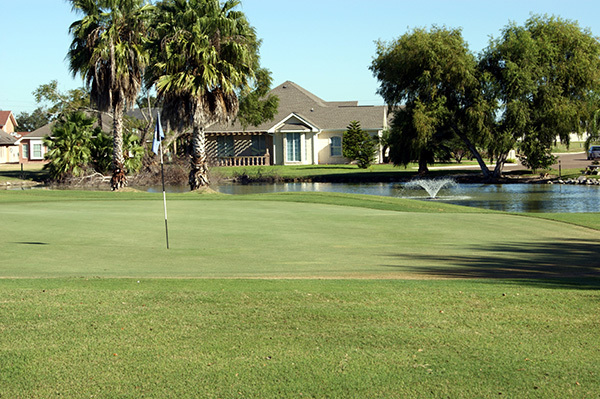 The Rio Grande Valley golfing community, located on the Southeast tip of Texas just minutes from Mexico, has a hidden gem – “Monte Cristo Golf and Country Club”. The Valley’s tropical climate has helped create a picturesque setting for this active 55+ adult community. When you live at Monte Cristo you experience Country Club living without Country Club prices. 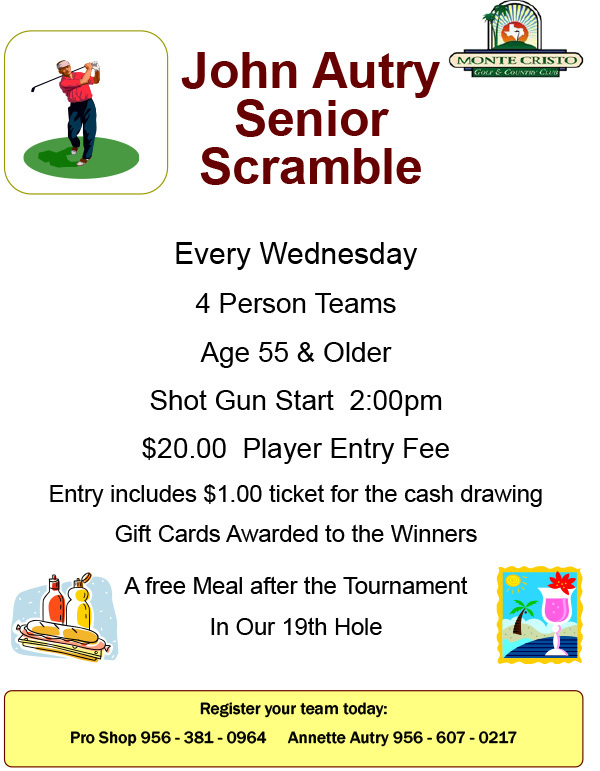 Monte Cristo is a beautiful community with a 18 Hole Championship Golf Course, 2 swimming pools, tennis courts, a driving range, a putting practice green and a clubhouse with a fine restaurant and our 19th Hole bar. Please look around our web site and we invite you to come see us! Welcome to Monte Cristo Golf & Country Club. All visitors are invited to register as online members to receive the latest news from the club as well as access to our exclusive online specials.